Jack of All Trades is the direct creation of Eric Morris, who wrote much of the show himself, but largely the product of what some may call the “Holy Trinity” behind a cult favorite, the Evil Dead Trilogy: Sam Raimi and Rob Tapert (executive producers) as well as the star of the show, Bruce Campbell. It ran for two seasons and a total of 22-episodes in 2000, forming the latter half of the “Back2Back Action Hour” alongside Cleopatra 2525. It’s 1801, and the American Revolution has just been won. As a result, Jack Stiles (Bruce Campbell) is assigned by Thomas Jefferson to thwart any and all attempts by French Emperor Napoleon Bonaparte (Verne Troyer a.k.a. Mini-Me from the second and third parts of the Austin Powers Trilogy) to colonize the New World, particularly concerning the tiny East Indies island of Pulau Pulau. Here, he is teamed up with the stunning British secret agent and inventress Emilia Rothschild (Angela Dotchin) with the cover of being her personal attaché. In addition to playing the part of man-servant, Jack must occasionally take on the role of the legendary folk hero, the Daring Dragoon. This allows him more freedom in his thwarting of the French, although because the costume’s mask only covers up part of his face and his voice remains unchanged, it’s puzzling how the residing French Governor Croque and his compatriots time and again fail to uncover the masked hero’s true identity! An array of historical figures make appearances on Jack including, but not limited to: Thomas Jefferson, Blackbeard (the infamous pirate), Benjamin Franklin, the Marquis de Sade, Lewis & Clark, a relative of Leonardo Da Vinci and, of course, Napoleon Bonaparte himself, cleverly portrayed by Verne Troyer. 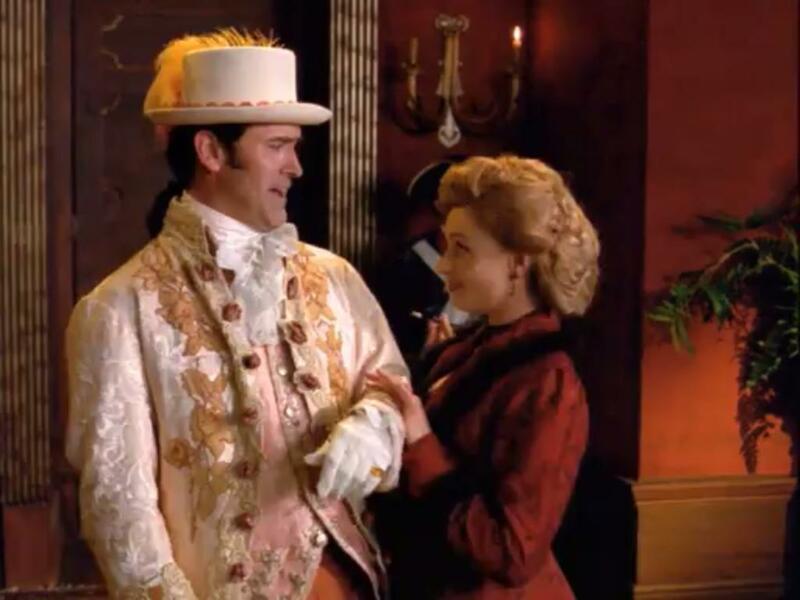 While Jack is hardly historically accurate, its historical references make for entertaining subject matter for Jack and Emilia to interact with throughout the show in a myriad of situations. Jack of All Trades is a funny show, one which is enjoyable to watch. The cast seems natural, and the chemistry between Bruce (Jack) and Angela (Emilia) is particularly strong. Their back-and-forth banter coupled with the undeniable sexual tension between the two of them keeps the show going. Unfortunately, Jack’s series finale seems rather abrupt, leaving something to be desired. There is this lingering sense of a lack of closure; nevertheless, the show still manages to hold itself together in the end. It’s just too bad that the end had to come sooner than later.